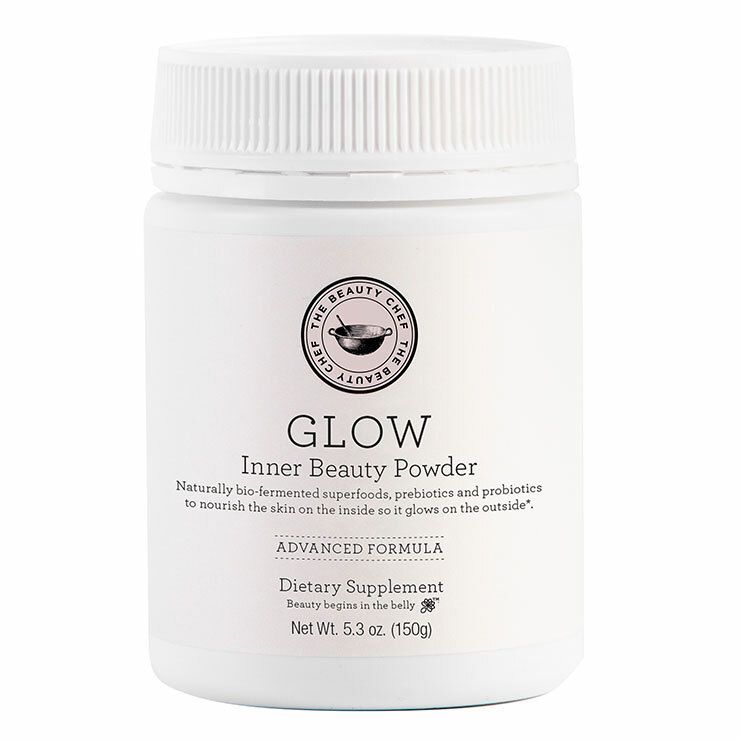 The Beauty Chef's Glow Advanced Inner Beauty Powder is a blend of bio-fermented super-foods, packed with antioxidants, minerals, vitamins, and probiotics, that gives skin a nourished feel from the inside out. This drinkable tonic is formulated with Certified Organic, naturally fermented ingredients that promote feelings of improved digestive function, thus enhancing the look of healthy, radiant skin. Mix 1 tablespoon of Beauty Chef powder into 200 mL of water or your favorite smoothie or beverage.